This is an annual event, scheduled this year on October 26, 2018. For information about the Old Burying Ground in the meantime, click here. The Wakefield Historical Society invites you to step back into the past to visit the town’s Old Burying Ground. 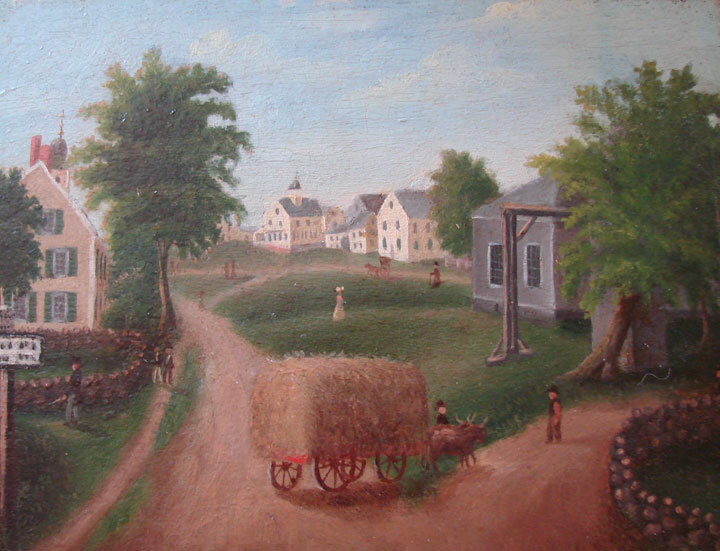 Originally laid out in 1689, the Burying Ground is the home of some of the town’s first settlers. Gravestones from the earliest town cemetery were moved to this location. Perhaps the truest testament to those brave early settlers are these gravestones, which represent some of the finest examples of Puritan gravestone art. In the inscriptions chiseled into New England slate we find their hopes and dreams as well as their sorrows. Join us in this walk into the past. We will meet in front of the First Parish Congregational Church at 1 Church Street, and begin our journey into yesterday. *In case of inclement weather, the tour will be re-scheduled. Visit the Old Burying Ground help page.